There's a certain sick fascination to be had watching the Arctic sea ice disappear over the years. The minimum extent (area of ocean covered by at least 15% ice) happens each year in September at the end of the melt season and it's preceded by a period of speculation as to what the cover will be this year. 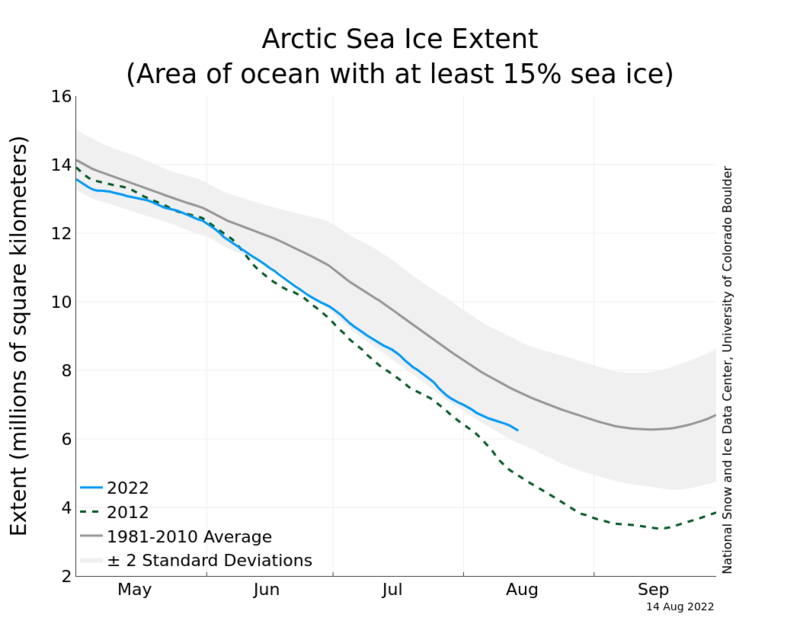 As well as the overall downward trends in the sea-ice extents there's also, of course, year-to-year variation. While I've been in limbo (there's light at the end of that tunnel) I've been renting a static caravan for the winter in Dunbeath, about 8 km SW of the prospective plot. I've, unfortunately, not got a lot of exercise this winter but when I have it's mostly been walks round this area on sunny days. Here are a few pictures from last autumn and the last week or two. David Rose is at it again with this article in the Mail on Sunday. As with last time lots of people have expressed their displeasure at various points. To find this commentary a good place to start is the update to and comments on the post from which the graph at the top of the article was originally taken (here) but replaced with Comparing global temperature observations and simulations, again by Ed Hawkins on the Climate Lab Book blog. In the same Green Building Forum discussion as the previous comments about Stefan's Law, which I blogged about, Tony also made remarks about warming possibly causing the increase of CO₂ in the atmosphere rather than being the result of it. His idea seems to be that warming of the oceans causes them to be less able to dissolve CO₂ so it comes out of solution and bubbles up into the atmosphere. ...and the rises in the levels of CO2 could even be an effect of these rises rather the cause of them were the rises to be due to some other factor. As the temperature of seawater rises we know that it can't hold so much dissolved CO2 so at least some of it must be a result of that. I think this is ridiculous. Here's why.